Let’s face it: insurance of any kind is expensive, but it’s an expense that’s well worth the price. I can speak from experience that health and car insurance, in particular, are worth the monthly premiums. Insurance can help you save big bucks should you become ill or be involved in an accident. And if you have children, it’s best to be prepared with a great insurance plan, be it health, vehicle, life, or home insurance. The only question that remains is how do you get that great plan at a cost you can afford? Here’s The Ultimate Guide to Choosing the Best Insurance for Your Family. This guide is quite long, so we provided anchor links to help you jump to sections that interest you. You can also choose to read this article chronologically. Read on and find out how to choose the best insurance for your needs, on a budget. Car insurance, beyond being a legal requirement of car ownership, is a really good idea. I learned this the hard way when I was in an accident last year. We had insurance, thankfully, but I began to wonder what our coverage meant and whether or not I had gotten the best deal I could for the best price. After our accident, I began to look into the coverage required by law in our area, what companies offered the best prices, and if I could get coverage beyond the minimum requirement without breaking the bank to do it. In order to figure all that out, I had to fully immerse myself in learning the ins and outs of car insurance coverage. This coverage played a very important role in our accident. My son had glass in his eyes and face, and my shoulder required surgery to fix. Because the truck driver who hit us was insured and was found to be at fault, his insurance paid for most of the medical expenses associated with our injuries. This does not cover the damage to your own vehicle. Rather, it covers the damage to the other vehicle or property, such as a home or storefront, if you are legally at fault for the accident. Related to Bodily Injury Protection, PIP coverage is also called No-Fault Insurance. PIP covers medical expenses, funeral expenses, and may cover lost wages, regardless of who is at fault in the accident. That’s up to the set amount your claim allows. This is only legally required in thirteen states. Ours is one of them, so when the Bodily Injury ran out, PIP covered the rest for us. Because insurance is so expensive, there are many who choose to either underinsure or, illegally in most cases, not insure their vehicles at all. Uninsured/Underinsured Motorist Protection was designed to help cover the bills left by an accident when the other party’s insurance is either non-existent or doesn’t provide enough coverage for said bills. What Is My Legal Requirement? Each state requires a different amount of coverage for the above minimum coverage. For example, Minnesota (which lists all four of the above as legal obligations) requires 30/60/10 coverage. That refer to the amounts of coverage for bodily injury and property damage liability, PIP, and un/underinsured motorist. In figures, that’s $30,000, $60,000, and $10,000 respectively. Should I Get Travel Insurance, Too? When our accident occurred, we were traveling. When I was talking with the claims department, the gentleman I was speaking with mentioned getting travel insurance. Although most people think of flying when they hear travel insurance, it turns out this may not be a bad idea if you travel by car often, either. With family spread to the four corners of the country and special needs children with doctors flung as far away as two states over, the claims adjuster turned out to be right – travel insurance is a good idea for us. If you find yourself traveling often, it may be a good idea to cover your trips ahead of time, as travel insurance may provide you with a financial safety-net should you get into an accident or have another issue on your trip. Almost anything you buy can be found cheaper somewhere else. The same goes for car insurance, so don’t be afraid to shop around. Most insurance companies offer discounts such as safe driver discounts based on your car’s safety features, multiple vehicle coverage discounts, good grades, even discounts based on how you use your insured vehicle. Make sure you ask about discounts. Older vehicles are usually cheaper to insure, while newer ones and sports vehicles of just about any age are more expensive. It’s best to pick a car that you can insure at low cost. Pay per mile coverage is only available in certain states, but if yours is one of them, it’s definitely worth taking advantage of. Just pay for the miles you drive! Talk to your insurance company or employer about a discount based on where you work or professional groups you belong to. There are three major car insurance companies which have topped the list of “Best Insurance Company” according to Consumer Affairs. For the best price, you’ll have to fill out the information for a quote. I’ve provided the links along with some ratings information about each of these companies to help you get started. State Farm: Ranked number one by Consumer Affairs, State Farm is reasonably priced with excellent customer service. Geico: Although Consumer Affairs rated Geico second to State Farm, they rank 4.6 stars versus State Farm’s 4.2 stars for affordability. Progressive: The most expensive of the top three insurance companies, Progressive ranked just behind State Farm for customer service and has some great incentive programs. Click here to go back to the top and see the list of anchor links. As of 2014, health insurance is required by law unless you’d like to pay a hefty fine. Health insurance seems not only expensive, it can be rather daunting to maintain. You have to deal with mountains of paperwork, deductibles, co-pays, and unexpected out-of-coverage costs. Many people have insurance through an employer, others have private insurance, and still others qualify for Medicaid or other federally-funded health coverage. The deductibles for employer or private health insurance can eat right through your pocket, and that’s not even taking the co-pays into consideration. I’m sure you’ve wondered many times: how can I possibly afford to take myself, my partner, or my children to the doctor? As a parent and a human being who should probably see a doctor now and then, I’ve asked myself that question many times. I learned a lot about health insurance discounts, prices, and more during when my oldest got sick, and now I’d like to pass that knowledge on to you. These days, there are four ways to get health coverage: through your employer, privately on your own (either online or with the help of an insurance agent), through the Health Care Marketplace, or by applying and meeting the eligibility requirements for a government-sponsored plan such as Medicaid. All of this can be quite confusing, so let’s go over them one by one. As I said earlier, the Affordable Care Act does require that an employer with more than fifty full-time employees offer health insurance. Assuming that yours does, here’s what you need to know. Your employer must cover you if you are a full-time employee or face fines. Affordable Health Care does not mean affordable to the employer. It means affordable to you, the covered employee. The government, as of 2016, defines affordability as your cost of the premium being no more than 9.66% of your income. If your employer offers you coverage, they must cover your dependents, except your spouse. However, there are no affordability rules for your dependents. Because there are no affordability rules for your dependents, you may find that you cannot afford coverage for them. Your dependents (and spouse) have other options available that you may wish to look into, which we will get into a little later on. If you buy a plan through the Plan Finder or an agent, you cannot get tax credits that you would be eligible for should go through the Marketplace. One pro of going “off-Marketplace” is that you may find better coverage options and carriers than the ones listed on your state’s local Marketplace page. Private insurance will usually require you to undergo a physical. You may be denied if anything turns up or if you have a documented pre-existing condition. The Health Care Marketplace offers cost assistance in the form of tax credits. You cannot be denied coverage on the Marketplace for health-related reasons. If you already have coverage, you can keep it. Should you be wholly unable to afford coverage on any of the aforementioned plans, you can apply for Medicare, Medicaid or some other type of government-funded coverage. I almost feel like a broken record on this one: shop around, if you can. In a non-emergency situation, seek other health-care avenues such as a store clinic or urgent care, which will likely cost you less in the long run. Create a health savings account, which allows you to set aside a certain amount of your pre-taxed income for health care services. Choose an HMO (Health Maintenance Organization) rather than a PPO (Preferred Provider Organization); HMOs save you money by requiring referrals from your primary care physician, whereas PPOs do not and thus require a higher monthly premium. What About My Dependents or Spouse? If you are unable to afford the premiums and co-pays for your dependents, you can apply for CHIPS for your dependents. Your spouse may qualify for Medicaid. Homeowners insurance is indeed legally required. Although it can protect you from certain damages, it can put quite a dent in your wallet. Most first-time homeowners are not overly familiar with this insurance so they often end up paying more than they have to for coverage. 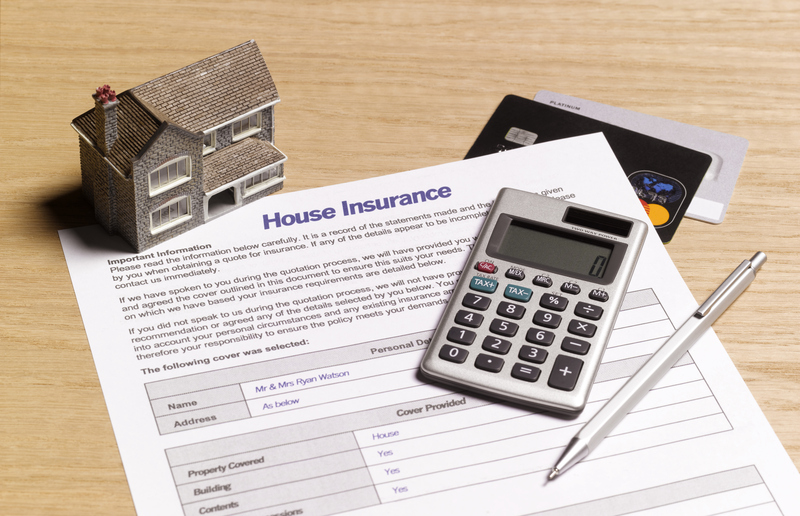 So, what exactly does homeowners insurance cover and how can you save money on it? Let’s find out. What it covers, it turns out, depends on what coverage you want. There are two different “types” of home insurance, although only one of them is required by law. This type of coverage is required by law, as well as most mortgage lenders. It covers the cost of repairs to your home should it be damaged by fire, flood, storm, or other natural disasters. However, your policy may not cover all types of natural damage. For instance, not all policies cover fire, so you may wish to purchase fire insurance separately. While buildings coverage will help ensure your home is rebuilt and made livable again, it does not guarantee that your possessions will be compensated should they be lost, stolen, or irrevocably damaged. That’s where contents coverage comes in. Many insurance companies offer home insurance alongside car and/or health insurance, so there are familiar faces to work with when you purchase your policy: Geico, Progressive, Liberty Mutual, and even State Farm. How does this work in your favor? Well, most of these companies also offer discounts if you bundle your policies together. But are there other ways to save money on home insurance? Yes, it turns out, there are several. As always, shop around. I listed some of the major players in home insurance in the last paragraph; don’t be afraid to compare them. Even if you insure your car with Company A and they offer a discount bundle package, still call Company B to see if you can get a better rate on one or both policies. Ask about discounts. Your insurance agent may not realize that you qualify for a certain discount if you don’t raise the topic. Discounts for home insurance can include living near a fire station, having safety devices such as a security alarm, making certain home renovations, and having a history of being claims-free. Insure your house, not the land it’s on. Natural disasters are highly unlikely to destroy the land your home is on. It may require cleanup, but it won’t destroy it completely. Your policy usually comes with an automatic protection limit for your property. Read over that very carefully — if you don’t have the items listed, there’s no need to pay to insure them and your agent can adjust your plan and thus your cost accordingly. Tell your insurance agent where you work. Your employer or profession may qualify you for discounts. Pay off your mortgage. No, really. Once you’ve finished paying off your mortgage, you can drop certain protections that may have been required under the terms of your mortgage lender. Are you renting but you still want some protection for your possessions in case of fire, theft, or other disasters? Look into renter’s insurance. Homeowners aren’t the only ones who may not be able to replace things in case of the unforeseen. Car insurance. Health insurance. Home insurance. We can easily place a dollar tag on those; we expect to need them. But how do you place a price tag on your life? Or your partner’s life? Your child’s life? Life-altering (and frankly terrifying) circumstances drove home to me that, like it or not, I needed to figure out how to put a price tag on us. More specifically, I needed to put life insurance on myself so that my funeral costs, medical expenses, and possibly left-behind debts would be taken care of when I die. Best case scenario, my children will each be left with a little money to make their lives without me easier. So, although it made my skin crawl, I sat down with a cup of coffee, an Internet connection, and a slew of tabs open to shop around for the best life insurance I could get. I looked for plans for myself and my children. I wanted to protect them, but I also knew I couldn’t afford to pay an arm and a leg. Life insurance can pay out a lump sum or regular payments to your designated beneficiaries upon your death. Your policy can include critical illness coverage. Should you find yourself diagnosed with a critical illness such as cancer, your life insurance will pay out a lump sum or regular payments. This can also happen if you are permanently and totally disabled after injury or illness. Speaking of permanent and total disability, your policy may also carry income protection coverage. This will pay you a percentage of your take-home pay if you cannot work following total disability. It may also do the same should you become too ill for work. Payment Protection Insurance and Mortgage Payment Protection Insurance may be included in your plan. These will cover your monthly mortgage, loan, and credit card bills should have an accident, become unemployed, or become too ill to work. I can’t stress this enough: shop around! Compare those rates and the coverage, too. A great rate does not always equal the same coverage. Choose from a financially sound company. Compare the ratings of insurance companies on trusted consumer sites. Pick from ones who have maintained a high rating on those sites. 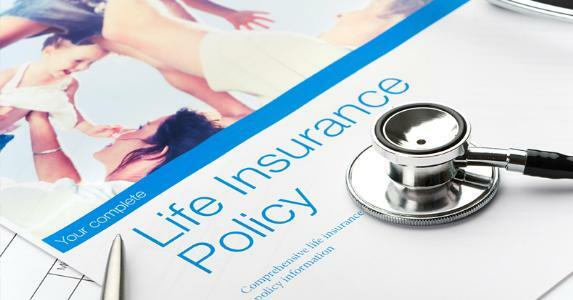 Go with a term life insurance policy, which means that it will cover you for a predetermined length of time (i.e., five, ten, or fifteen years). It usually has a fixed death benefit and usually a fixed premium. You can skip the savings component of whole life policies. Just invest the difference yourself in stocks or bonds. As depressing as it can be when you’re young, buy life insurance now, not later, as you will get a better rate at a young age. Get a physical done before you buy a plan. This will allow you to be aware of any current health conditions that may affect how much coverage you buy. Look for low-load or no-load policies, which means that they have fewer expenses built into them, such as agency fees. Should I Do This for My Children? If you find yourself the parent or caregiver of an ill child, you will also want to take a look into children’s life insurance plans. Although it may seem strange and even a tad macabre, it may end up saving you a lot of heartache and financial pain should the unexpected happen to your precious little one. I hope you find this information useful for your family. After our experiences with accidents and illness, I wanted to make sure my family was protected while still saving money where I could. Please let us know in the comments below if there is anything we left out or if you have anything you wanted more information on. Please share with your family and friends. Very informative and interesting post! A well-written article like this is very helpful for everyone out there. I really treasure your piece of work and your explanation was certainly the easiest to understand. Thanks!